Elise Brooks dreams of a car accident on an icy road. Weeks later, her beloved husband, Michael, is killed in just such a crash. Now, overcome with grief and uncertainty, Elise believes his spirit may be following her in the form of a raven, trying to tell her something from beyond the grave. Desperate to understand the signs, Elise embraces both the Native American wisdom she grew up with and the world of psychics and seers. So when a tarot-card reader suggests she take a journey to the mysterious address found in Michael’s old jacket, she embarks on a cross-country trek to follow the clues. 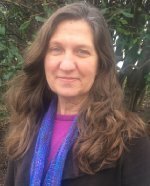 Accompanied by Tom Dugan, an engineer and scientist who does not believe in psychics, mediums, or the hoodoo “conjure woman” they encounter on the road, Elise navigates the rituals and omens of the spirit world in an attempt to unravel the mystery of her husband’s message. Elizabeth Hall, author of Miramont’s Ghost, has worked as a teacher, communications consultant, and radio host. She spent many years in the mountains of Colorado and now resides in the Pacific Northwest, where she indulges in the fiber arts of knitting, beading, and weaving. I read Elizabeth Hall’s previous novel, Miramont’s Ghost, about a year and a half ago, and really enjoyed it, so I was eager to see what she’d do with a more contemporary story. 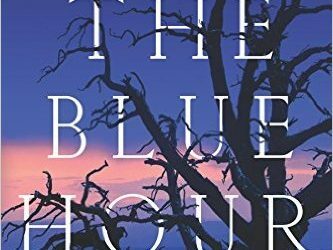 With In the Blue Hour, I feel like she’s really come into her own, solidifying herself as a writer who does amazing things with supernatural thrillers. One of the things I loved about Hall’s previous book, and which she continues to excel at in this novel, is in vivid descriptions of place. I know Taos, NM, mainly from the writings of Natalie Goldberg and one too-brief overnight there twelve years ago, when my husband and I were driving from California to Texas, but after reading this book, I feel like I’ve spent a month in Taos and its surrounding areas. Hall’s characters are all very vivid. While I enjoyed reading about protagonist Elise’s relationship with her deceased husband Michael (told in flashbacks), it was Elise’s friendship with Monica that I found to be exceptionally strong. This is a life-long friendship in which both women met as girls, grew up together, and stayed friends into adulthood. I really loved the changing dynamic of the two, as well as the way each woman remained completely herself. I found the actual story of In the Blue Hour to be quite lovely. 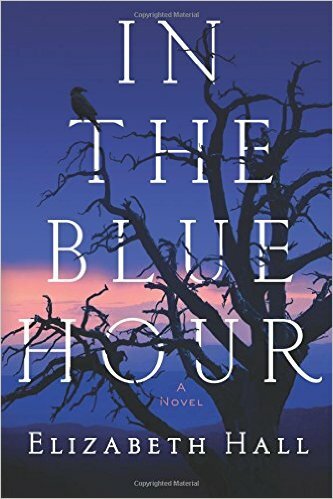 A bit on the cozy side of thrillers, with a strong spiritual element, I found the author worked Native American traditions into her story very plausibly. It never seemed like there was any tokenism or appropriation, but rather a deep reverence for and appreciation of all the traditions depicted – even the tarot reader. 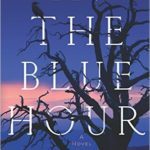 In many ways, In the Blue Hour takes its cues from true gothic romance, resetting that trope in a contemporary setting, but however you classify it, it’s an interesting, compelling story with a rich tapestry of people and places. Goes well with cheese and onion enchiladas and a margarita. Find my post about this book on Facebook, like it, share it, and comment that you have done so. Leave a relevant comment about this book, here on this post. (Comments from first-timers must be approved and may not go live for 24 hours). Deadline: 11:59 PM Central Standard Time on Thursday, November 17th.